I’ve been doing Shiatsu for years and I grew a third thumb. I’m just kidding. 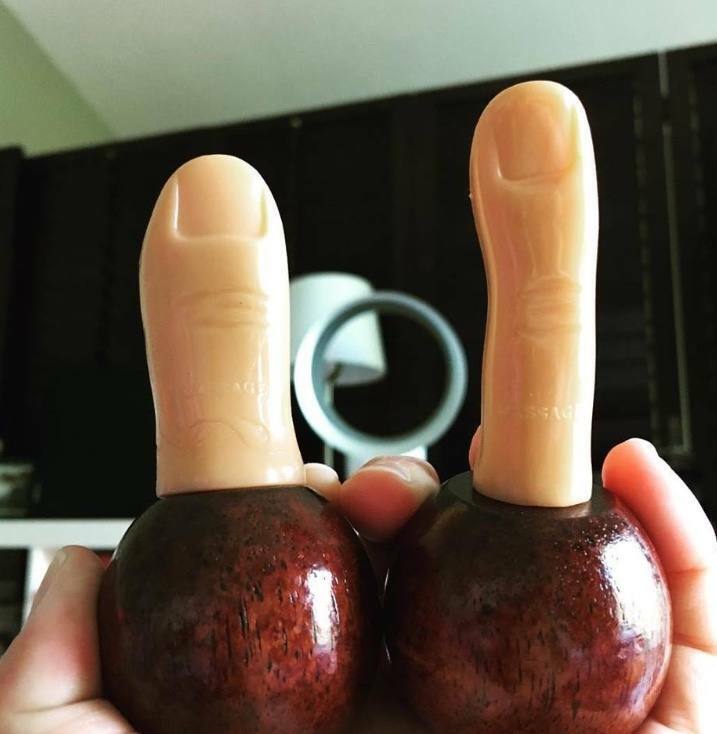 This is a massage tool that my wonderful friend gave me recently. When she posted this on Facebook, we didn’t know what they were but when we learned that they were massage tools, we were relieved. So this thumb is pretty wide and thick with a big padding. I don’t know what it’s made of but it’s not completely solid. It’s somewhat flexible making it more like a real thumb complete with a nail and joint creases. It comes with a companion finger that’s smaller and thinner and little bit more flexible. This is my third index finger. 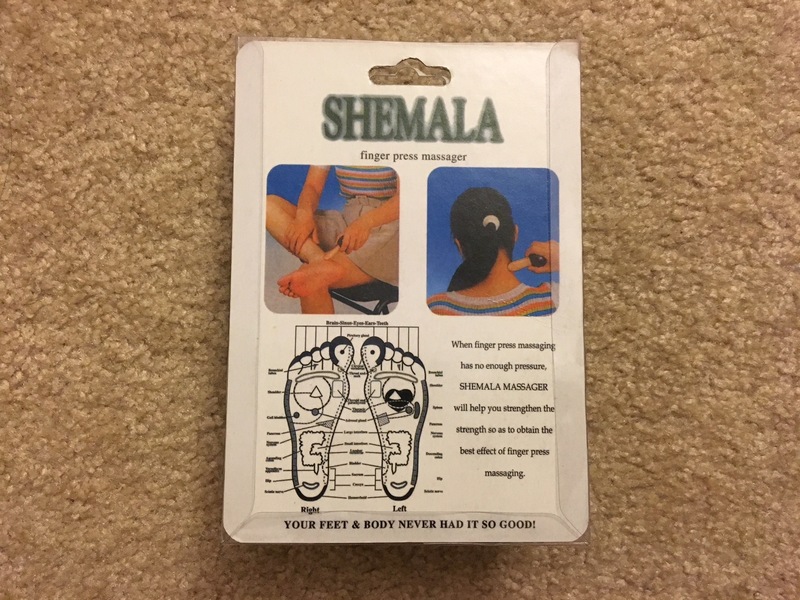 This massage tool is excellent for pressing. The finger is screwed into the wooden base. This wooden base is easy to hold and very easy to press on the tight spot. I’ve been using the thumb on big muscles like arm, hand, and neck, basically where I would use my thumb to massage. Surprisingly, it feels good and it really saves my thumb. And I use the smaller finger on acupressure points on the face. But sometimes I use both at the same time to save time. Since the fingertip is very smooth, it can glide too even without a lubricant although it is better with a lubricant whenever you glide. If you balance them right, they can even stand by themselves so you can use them as a nice display of fingers in the room. Maybe you can use them for Halloween. Be careful how you show it to others though because you might offend someone. Don’t drive like this or you may get into a road rage. These fingers are gender neutral. You can put some nail polish to make them look pretty. Or if you want to make them more masculine you can draw some hairs. 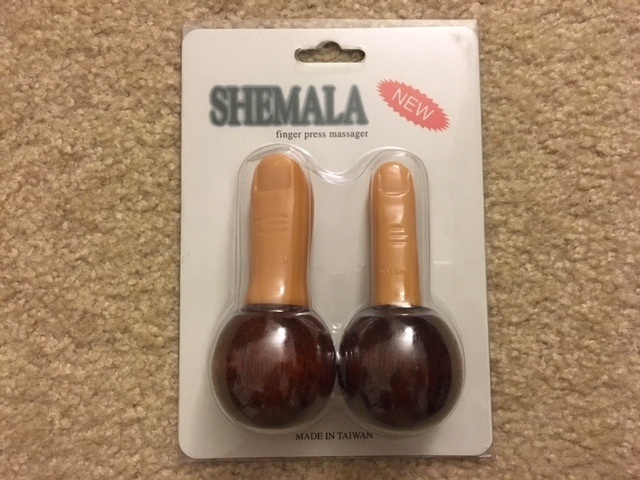 I think it’s a good massage tool as well as a funny looking gift. I’ll put the link below.